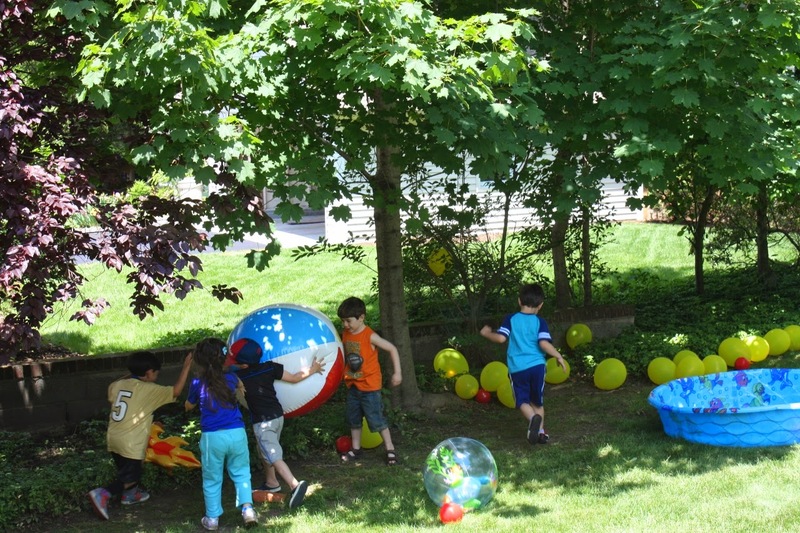 Zach's 5th Birthday Party - An Avengers Backyard Jamboree!!! 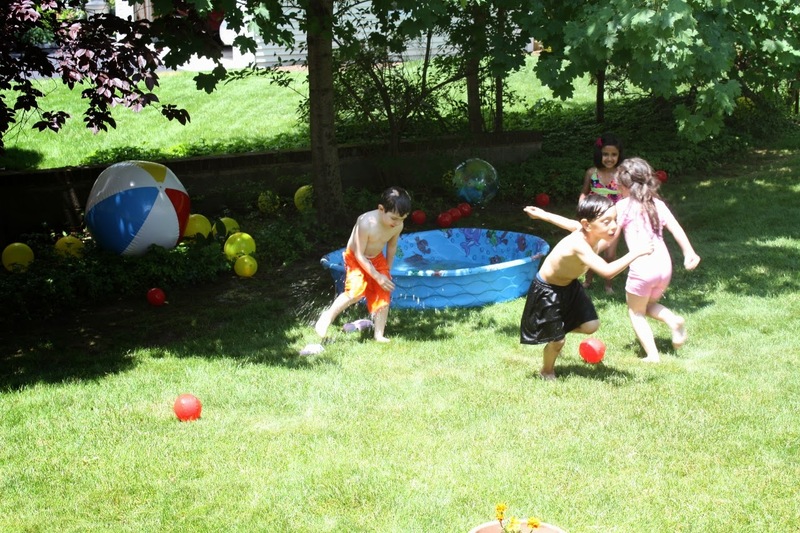 Nothing can beat a backyard 5th birthday party on a perfect summer day. 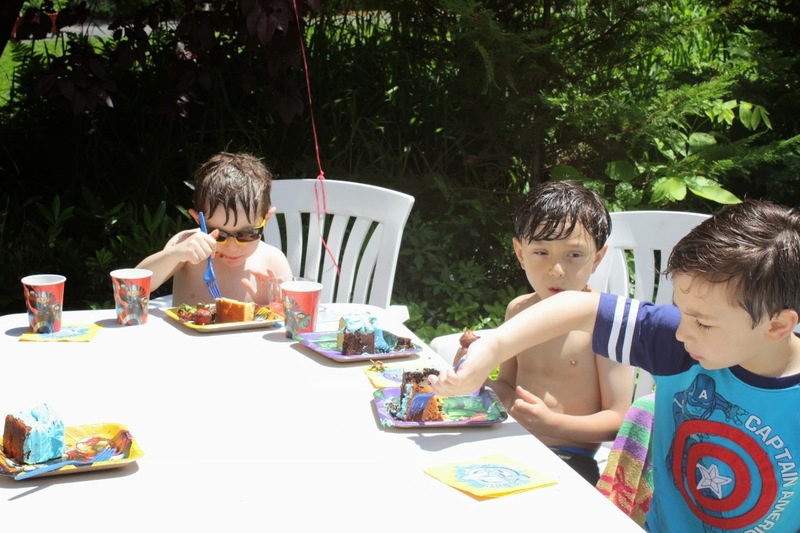 And that’s the day and party Zach had for his fifth birthday in our backyard on Saturday. Earlier in the week I made sure I had the ingredients for the cake that Zach and I would make on Friday. I showed him the cake mix boxes and asked if he wanted yellow or chocolate and I was surprised when he said “Both.” I explained that he had to choose which one he wanted, but he patiently explained that it should be both with two layers. So, of course I agreed. Next the topping – should it be white or chocolate? Zach’s choice – blue. Blue? 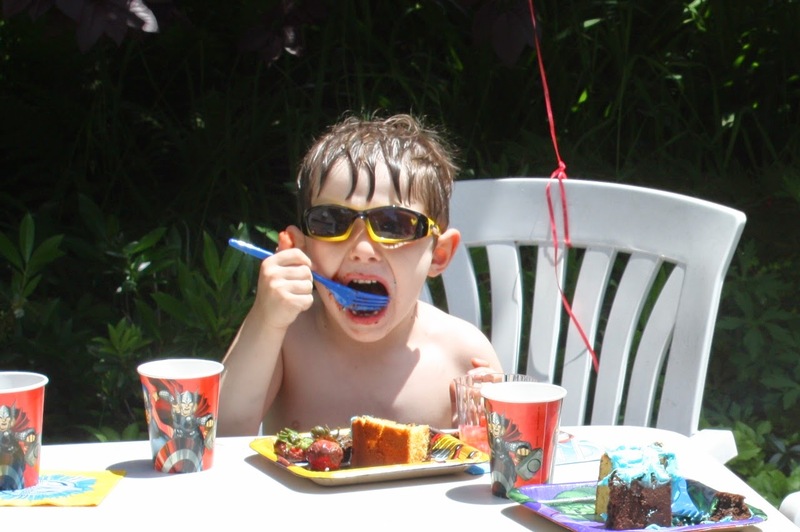 Yes, blue just like his friend’s birthday cake. Oh yes with red trim. I planned to buy ready made frosting. 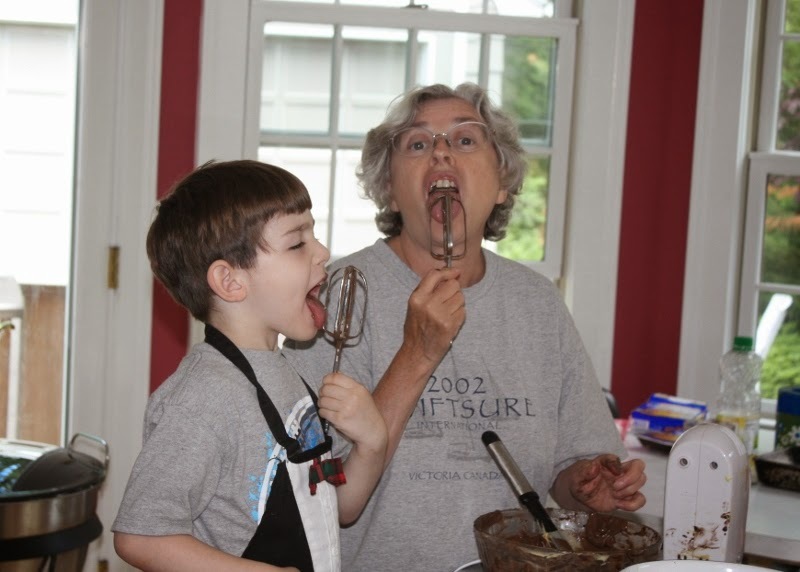 I really am not much of a baker or cake decorator and would just as soon just buy a birthday cake but Zach wants a homemade one just like his Mom always did. Guess what? 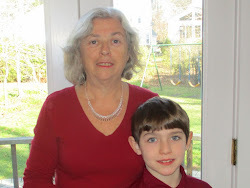 I was in luck - they now have ready made blue icing - it is raspberry flavor and delicious. And Betty Crocker has a super easy to use cake decorating product. 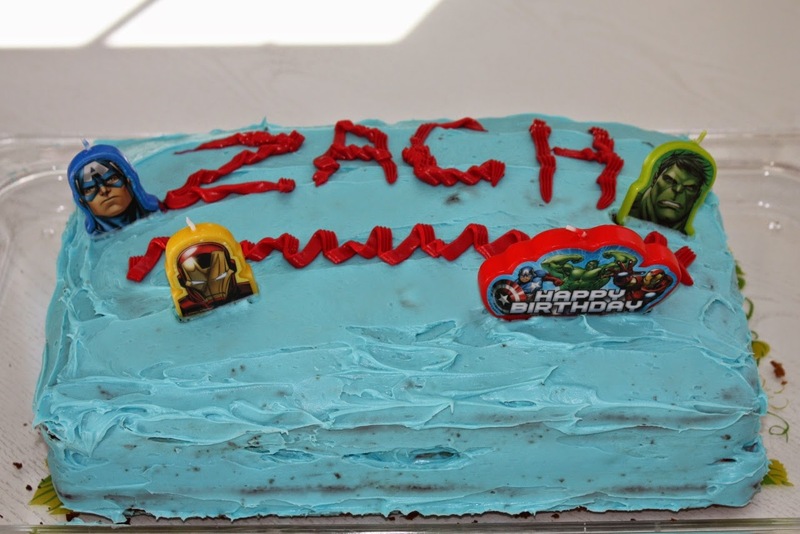 The party theme was the Avengers and his Mom had bought all the party goods including Avengers candles. 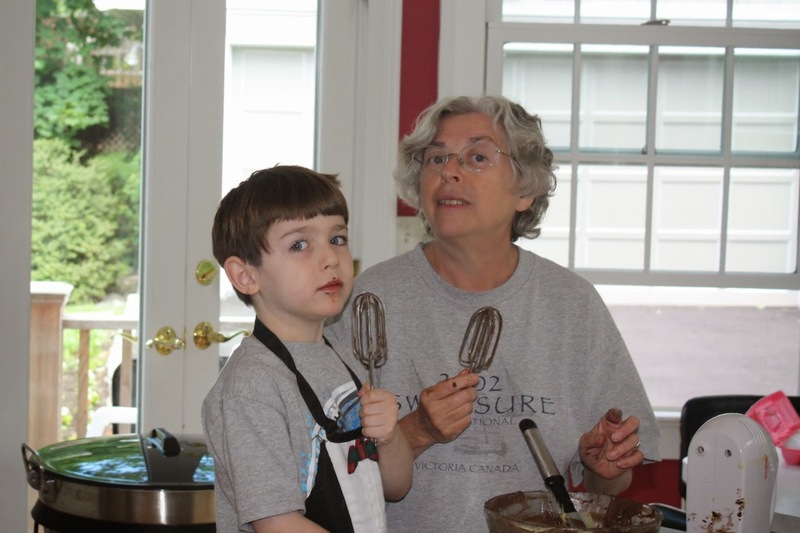 Here are Zach and I working and having fun together making the cake. Zach wanted to put those candles on at every step and he was so happy to be able to complete this final step.